People often want to have beautifully decorated shelves which match the design of their room or they want to have matching shelves with their furniture, but what if all that isn’t necessary, what if you can have fantastic invisible bookshelves. Yes, you that’s correct, you can have invisible bookshelves! Joke aside, those shelves aren’t really invisible, they just appear invisible because the bottom book is actually the shelf for other books. This DIY invisible bookshelf is really easy to make and it can be your easy DIY project for this afternoon! Just follow our simple instructions and you’ll see that is even easier than you thought. 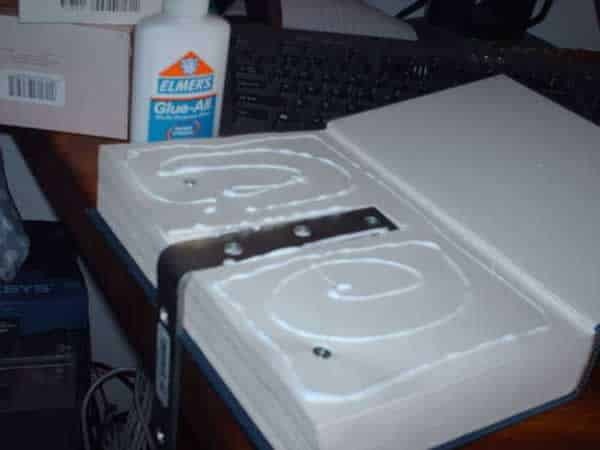 All you need is an old hard cover book (don’t use valuable books, use something that you don’t need anymore), utility knife, tape measure, small flat headed wood screws (size depends from the thickness of your book), wall screws with anchors, all purpose glue and a corner bracket. Let’s get started with the project. 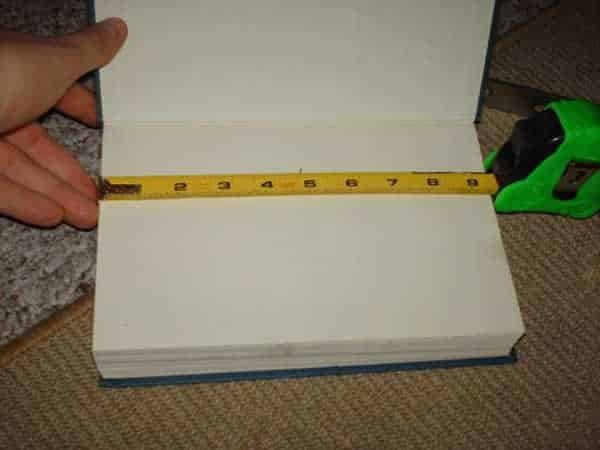 Open the book and measure the middle like in the picture below. Put the corner brace on the marked middle and mark the shape with the pencil. Then take utility knife and cut the book until the bracket can be fitted inside. After you fitted the bracket, fold the book and then cut the pages and hard cover with the utility knife on the outside like in the picture below. You have to do this because your bookshelf otherwise won’t be fitted on the wall. If you don’t want the pages on your new bookshelf to look bad, you must screw them together. 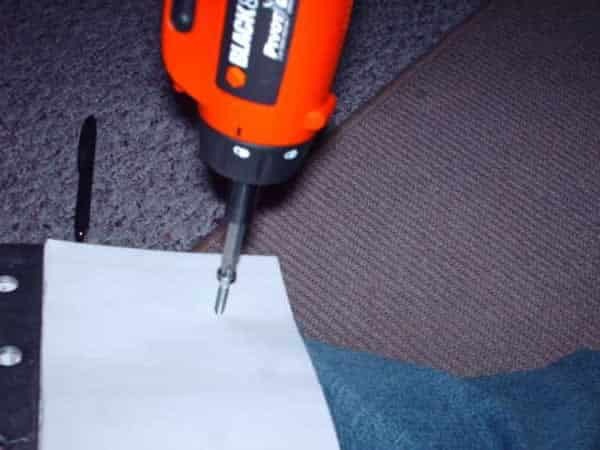 Use small wood screws and screw two or four screws through the pages. Be careful and press the pages with one hand and slowly screw until the head of the screw is in the paper. If you don’t press the paper, the paper will rise when you start screwing and your bookshelf will look bad. 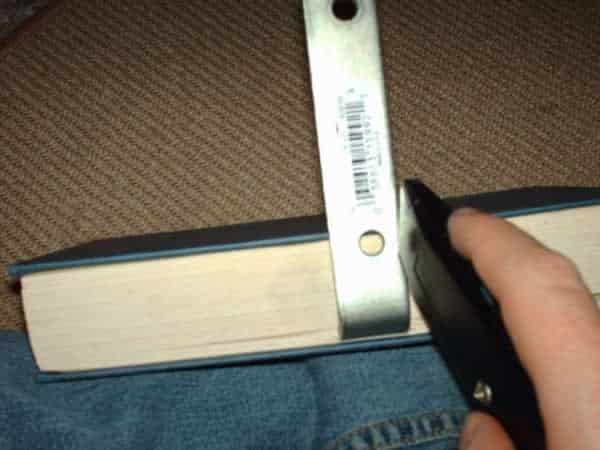 Put the bracket on the book like in the picture below and screw the bracket on the book also. Then spread all purpose glue on the whole page, fold the book and let the glue to dry for at least couple of hours. 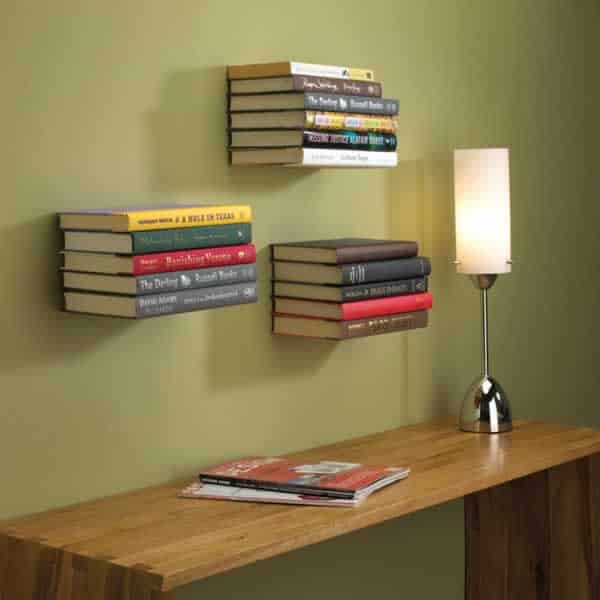 Your new DIY invisible bookshelf is now complete and all you have to do is to mount it on the wall. Put your new bookshelf on the desired place, mark the holes and then use your cordless drill and drill the holes in the wall same size as your anchors. Put the anchors in the holes and gently tap them in the holes. If you want to put your bookshelf on drywall then it is best that you use special drywall screws and anchors. 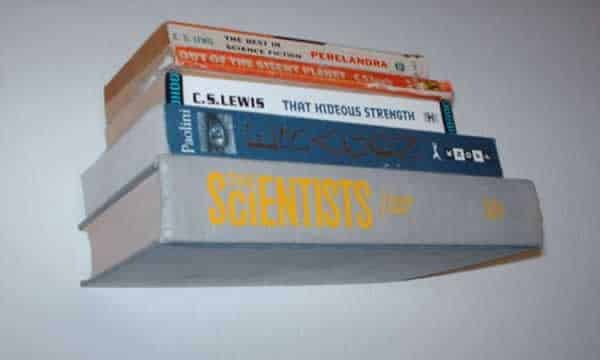 Screw your new bookshelf with wall screws and you can put books on your DIY invisible bookshelf.